Carriageworks, the Australian Centre for Contemporary Art (ACCA), and Mona (Museum of Old and New Art) has announced Suspended Moment: The Katthy Cavaliere Fellowship, a major new artist fellowship in the name of Italian born Australian artist Katthy Cavaliere (1972-2012). 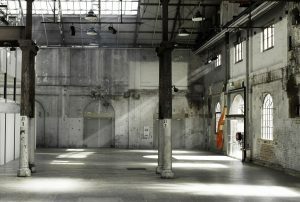 The fellowship, made possible with funds from Cavaliere’s Estate in partnership with the three arts institutions, is valued at $300,000 in total and will be granted to three female-identifying Australian artists working at the nexus of performance and installation to realise an ambitious new work. The three artists will be chosen by a selection panel, comprised of the presenting institutions’ leadership and curatorial teams. In 2020 Suspended Moment will be a cross-institutional presentation with each partnering institution presenting one of the three commissions and accompanied by a publication. Expressions of interest are now open and close on 17 December 2018, with fellowships awarded in 2019 to be followed by three individual exhibitions in 2020 to be presented at ACCA, Carriageworks and Mona. Selection criteria for the fellowship are for female identifying artists working across visual media including performance and installation and an Australian citizen or resident. Any stage of practice is eligible from early career to established. Applicants who meet the selection criteria are invited to submit a one-page proposal outlining an ambitious project, which includes the form the work is likely to take, an outline of the subject, themes and ideas, as well as details of artistic and technical collaborators.